Community is at the heart of the Vancouver International Marathon Society RUNVAN®. As the non-profit organization responsible for the Fall Classic, the Society recognizes the importance of community to the success of the event and to the celebration of sport and healthy living. Each year, the Society reaches into the community to attract nearly 4,000 volunteers and dozens of business, community, and charity groups. Create a team and learn more about the Community Challenge presented by Chevron! 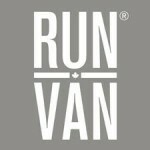 RUNVAN® is known in the community for hosting sustainable events with a high waste diversion rate. We look forward to putting on a green event at this year’s race, but we’ll need your support! Running a Half Marathon, 10KM, or 5KM isn’t always a simple task, and sometimes it can be easy to forget the little things – like recycling. That’s why we’ve created a Runner’s Green Pledge with some key points and information to help remind you of how you can assist in keeping our city one of the greenest!